GEN3 Electric (215) 352-5963: Knob and Tube Wiring: Is Your Home Safe? Knob and Tube Wiring: Is Your Home Safe? 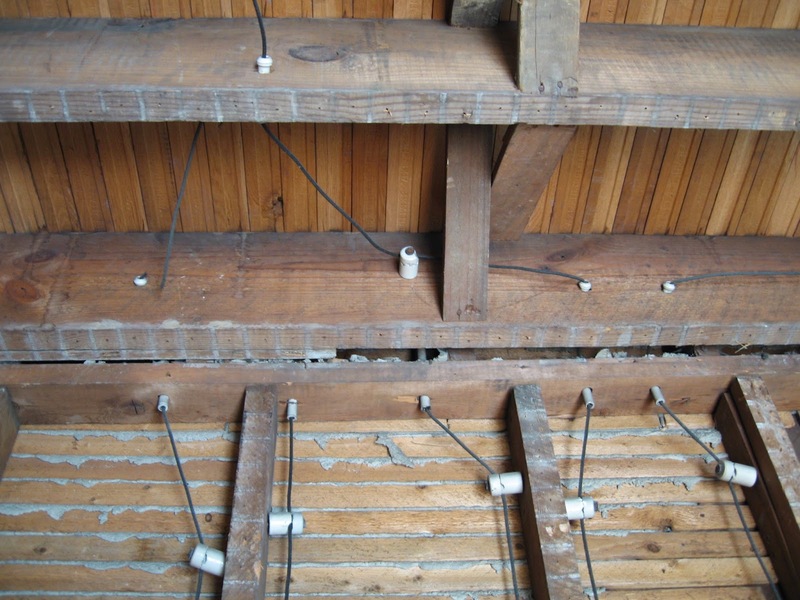 Do you know what kind of wiring was used in the building of your home? Chances are you don’t, but if you know how old your house is it’s not too difficult to figure out. Knob and tube wiring is known as the earliest form of residential wiring and if it’s still being used in your home today, it can be a serious hazard. This early form of residential wiring consists of a cloth-covered wire and a neutral wire, that run parallel to each other. To secure the wires to the framing of your house, ceramic knobs are used and ceramic tubes are used where wires cross or penetrate framing. As with most things in life, when knob and tube wiring grows old it tends to break down. This type of wiring cannot be grounded or spliced into a grounded circuit. What does this mean? It means that its connections can melt if too much current flows through them which can lead to an electrical fire. Building insulation can also cause knob and tube wiring to overheat, so if you still have it in your home it’s time for an upgrade. At GEN3 Electric, our highly skilled electricians can complete every electrical service or installation you need. From home rewiring to electrical service upgrades and knob and tube replacement, we’ve got you covered! Give us a call at 215-512-4102 today to get your home the electrical attention it needs! That article is surely very helpful.You're so kind for sharing this amazing information..Hope to see more from you.thank you very much for sharing.keep posting. What Are Your Neighbors Saying About GEN3? Gen3 was at the Delaware County Job Fair!